Does Your Marketing Have Your Agency's Best Interest? When choosing where to spend your agency’s marketing dollars, the biggest question you should ask is: will this help me write more policies? Inbound insurance leads not only help you grow your agency, they’re one of the most consistent business generators. With inbound insurance leads, you can sit in your office, answer the phone, quote, and write business. Easily place an order for how many calls you want, the times of day you receive the calls and pause your account if you get busy or decide to spend time with family. You are in control of your sales and your schedule. You will no longer need to attend weekend and evening networking events in the potential hope of making a connection to sell one new policy. Inbound insurance leads are 100% exclusive and will only be transferred to you and your agency. You have control over when you receive the calls and how many are sent. 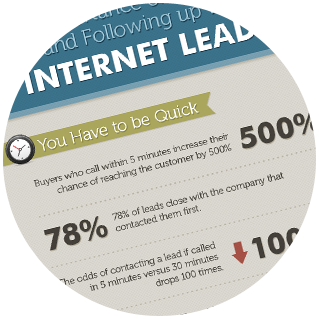 You will no longer need to sit by the computer and wait for leads to come to you. Gone are the days where you will be on a long call or in a meeting, only to find that you have 5 leads waiting to be called. Hearing the words, ‘I’ve already talked with 5 agents’ will be a thing of the past. You can buy a full range of P&C insurance leads (auto insurance leads, home insurance leads, commercial insurance leads, life insurance leads and renter/condo insurance leads). Inbound insurance leads allow you to identify what areas of business you want to focus on and buy those types of calls. You are in control of your business and can adjust the type and volume of calls you receive as often as you want. The best part of inbound insurance leads is agents can get them from anywhere in their state. An agent is no longer restrained by geography or costs. Inbound insurance leads are sold on a pay-per-call basis and allow you to set the number of calls you receive per day. Insurance consumers no longer care where their agent is located, all they want is someone who will look out for their interests, be responsive to their calls, emails and texts and help them find the best value for their money. 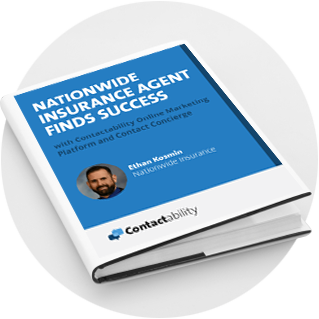 The Takeaway: Inbound insurance leads help your agency write more policies, expand your opportunities to sell outside your current area, and save you time and stress in the process. If you’re ready to change up your tactics, take a look at your current marketing budget and see where you can make some positive changes.